RF Explorer is a very sensitive device. 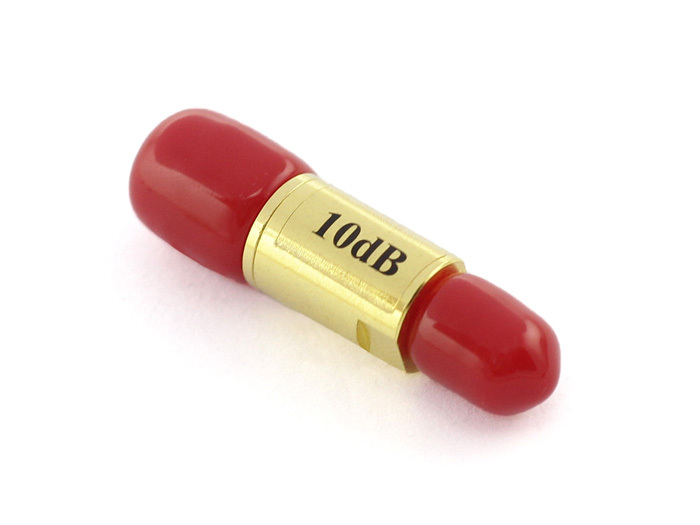 It can detect signals as low as -120dBm, which is 10E-12mW or 9nA over a 50ohm load. This extreme sensitivity comes at the price of fragility; your device needs care handling and protection in order to run for many years without problems. Most RF technicians know the RF instruments have to be protected in order to survive the high Electro Magnetic (EM) fields that may be in the environment. Expensive instruments like $50,000 full sized Spectrum Analyzers and Signal Analyzers comes with a long list of handling procedures the operator must observe in order to limit any chance of damage. Unfortunatelly, the fact that RF Explorer is a cheaper device doesn't mean it can work without protection. The first and most obvious precaution is to make sure the input RF power is not beyond the acceptable levels of the instrument. RF Explorer 3G Combo and WSUB3G models are well protected up to +30dBm (1Watt) input power, which is plenty to play safe in pretty much any environment. However, other RF Explorer models have a maximum safe input power of +5dBm, which is 3mW in the RF SMA port. As an reference, that is the power captured by the RF antenna from a cell phone a distance of 10cm, or from a Microwave oven at about 1 meter distance. Not all the ovens or cell phones work the same, so take this as an indication only. What may not be obvious to all users is this is a limit in any RF frequency band, even if the RF Explorer is powered off. As an example, the RF Explorer WSUB1G -with a frequency range of 240-960MHz- will not detect a microwave oven (2.4GHz) on the screen but can be very well damaged by it. Similarly, a strong 2m HAM or FM high power transmit station won’t be detected by this model, but still induces enough RF power to kill the RF circuitry with ease. And that doesn’t depend on RF Explorer being on or off because the antenna will receive that powerful signal and will inject it into the spectrum analyzer, with serious risk of damage. In addition to RF power, you should reduce the likelihood of static discharge over the antenna. In particular, the naked metallic antennas such as the Nagoya telescopic antenna we include in the wideband models. The whip helical plastic antennas included in the narrow band models do not expose the internal contact to the outside world and thus are safer from ESD perspective because don't offer a direct current path to the internal sensitive CMOS component pin, but all metallic antennas needs you to observe good ESD practices, most importantly in very dry winter air: Make sure you have a good hand contact with the metal case of the RF Explorer before touching the antenna and, whenever possible, do not touch the antenna with your hands. For this very same reason, you should never make contact with the antenna to any external energy source. Just imagine what power can be injected inside if you make the antenna contact to AC current or a powerful AC source of any kind! The ideal device to protect your RF Explorer against strong RF fields is a RF Power Limiter. There are several options in the market, but we designed a compact, multi-purpose RF Explorer Power Limiter device with a very attractive price and the addition of advanced features such as an embedded 6dB attenuator and a 16V DC block. It will protect your RF Explorer for any power up to 1W (+30dBm) - For more details on this power limiter see this article. Other options available in the market are for instance this power limiter from Mini Circuits: ZFLM-252-1WL+, available for less than $100, but does not include extra attenuator or DC block functionality, and is significantly larger in size. An valuable update comes from user Bob Johansen points out this interesting Mini-Circuits application note on power limiters, very useful! 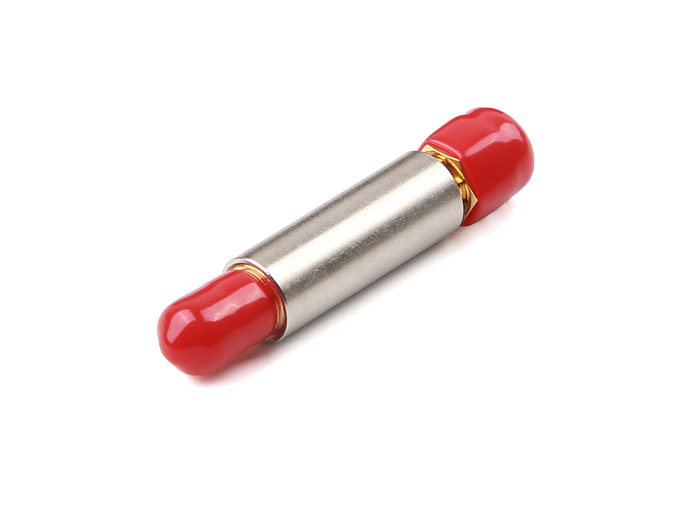 If you do not own a power limiter, ideally if you store the RF Explorer in your lab for no use, either enclose it within a metal case to protect it from external RF fields or, if not possible or available, unplug the antenna out of the SMA connector. This will significantly decrease the chances of high RF power get into the RF circuitry. 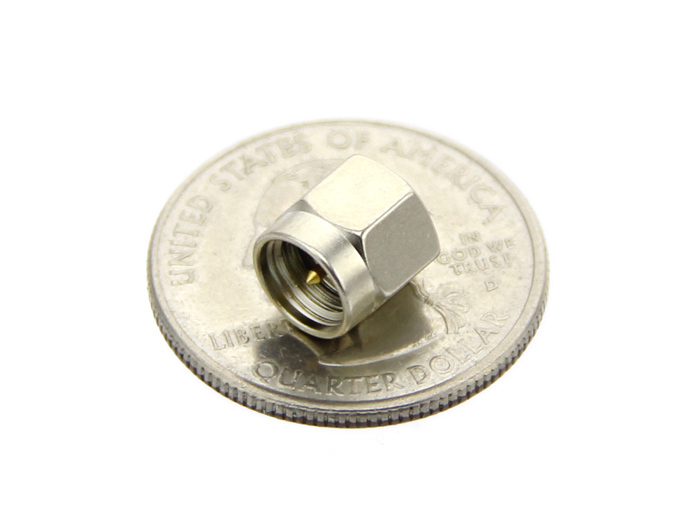 If you know there may be strong RF fields nearby, it is even safer to plug a 50ohm SMA dummy load to the RF connector so the RF circuitry doesn’t receive any external RF field. 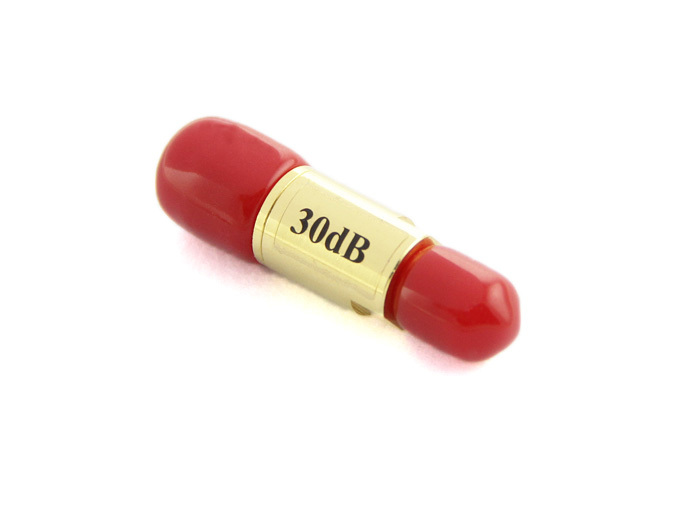 You can find 50 ohm dummy loads in SeeedStudio for only $8. When operating your instrument in unknown area where strong RF fields may be nearby, never plug the antenna into the SMA connector directly, always use a 30dB SMA attenuator to reduce the potential power received. This will increase the max power you can receive, but will reduce sensitivity as well. Remember this is required even if the instrument is not powered on yet. You can find SMA attenuators in SeeedStudio for convenient 60dB, 30dB and 10dB attenuation values. If the RF power comes from an out-of-band source, but you still want the maximum in-band sensitivity, a SMA attenuator may not be the best option because it reduces sensitivity in all bands. For instance, if you are using the WSUB1G model to monitor a weak 433MHz signal and know there is a strong 1.2GHz source nearby, the attenuator may not be the best option because it will attenuate the 1.2GHz signal but also the 433MHz signal. So in this case a good RF band pass filter may be the best option. There are many different options for filters, not all of them cheap, so look for available options for your band before taking this path. The Mini-Circuits website may be a good place to start. Let us know if you have any question, we take client satisfaction seriously and want to make sure you enjoy your device for years without issues. If your unit needs repair because the RF circuitry went unresponsive, let us know, we will find the best and most efficient way to offer a cost sensitive repair service.